To receive the latest news on exclusive McDelivery® promotions and more delivered right to your inbox. By clicking “Sign Up” I confirm that I have read and agree to the PDPA Consent for McDonald’s & I have my parent’s/legal guardian’s consent if I am below 18 years of age. 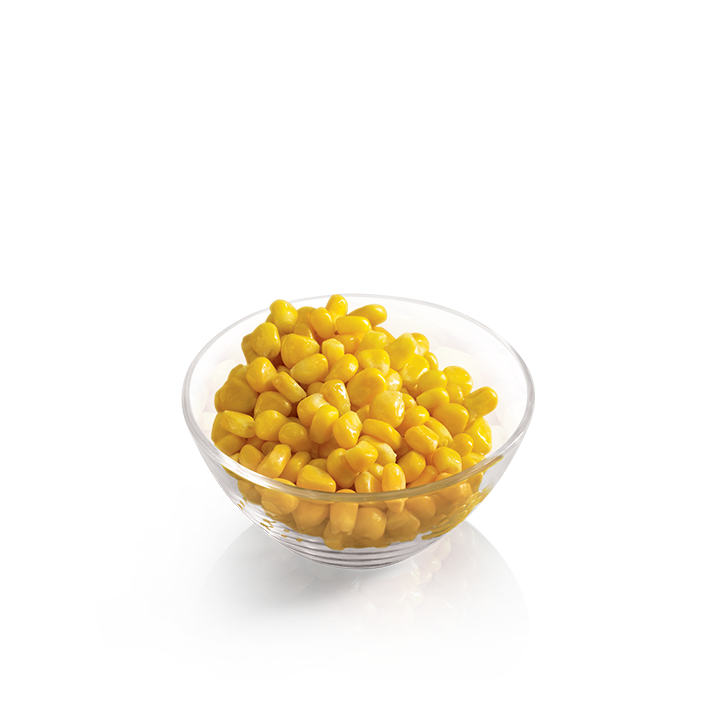 Veg up with crunchy corn kernels and enjoy a yummy serving of antioxidants! Served warm with an optional pat of margarine, it’s comfort food that’s oh-so-wholesome. Want to calculate full meal? This nutrition information is derived from testing conducted in accredited laboratories, published resources and/or information provided by McDonald’s suppliers. The nutrition information is based on standard product formulations, serving sizes and average values for ingredients from McDonald’s suppliers and is rounded in accordance with applicable regulations/guidelines. Variations in serving sizes, preparation techniques, product testing and sources of supply, including regional and seasonal variations, may affect the nutrition values for each menu item. In addition, product formulations do change periodically. You should expect some variation in the nutrient content of products purchased in our restaurants. This information is current as of April 2018. COPYRIGHT© 2019 ALL RIGHTS RESERVED BY McDONALD'S THE GOLDEN ARCHES LOGO AND "I'M LOVIN' IT" ARE TRADEMARKS OF McDONALD'S CORPORATION AND ITS AFFILIATES.